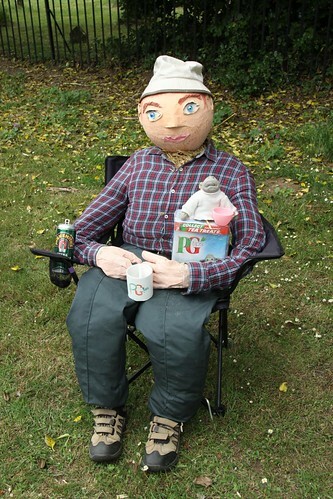 Here is another PG Tips scarecrow. In our last post, you read about the 6th Scarecrow Festival in Fornham All Saints, England. The theme of the festival this year, held in June 2013, was was cartoon or advertising characters. This image is courtesy of Dave Catchpole. You can view more of Dave Catchpole’s work on Flickr.